Would-be asylum seekers have continued to arrive on the Greek islands from Turkey as the EU promises to support Greece in its efforts to send them back. About 875 of mostly Syrians and Iraqis arrived on four Greek Aegean islands over the weekend with Turkey stopping another 3,000. 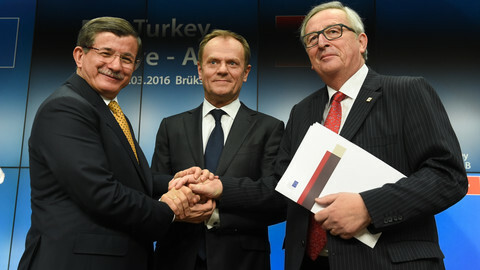 But outstanding issues remain on how an EU-Turkey deal launched on Sunday (20 March) will stem the flow. It is unclear how swift repatriation to Turkey will be carried out in practice, given Greece's patchy asylum system. "[Migrants] will be returned after they have been swiftly processed. 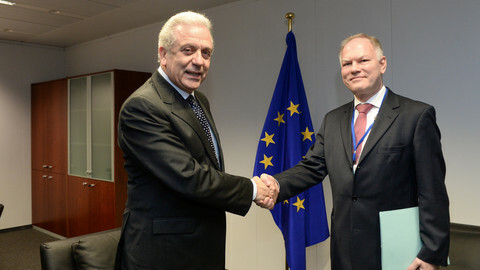 That is why we need the technical assistance," said Greece's deputy interior minister Yiannis Balafas. The European Commission estimated Greece would need 4,000 people, including migration officers and translators. Roughly 1,000 should be army and security staff, it said. 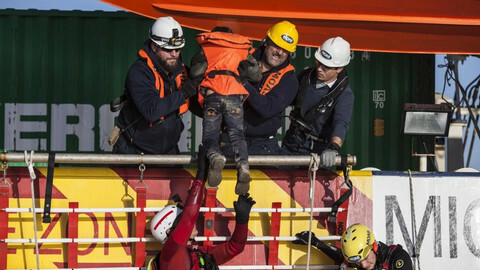 The rest would be composed of a mix of asylum experts, interpreters, specialised judges, appeals committees, readmission officers, Greek police, and experts from the EU's border agency Frontex. Maarten Verwey, an EU commission official in Athens, has been appointed to help dispatch the 4,000 staff and get the plan operational. Six-month costs estimates for the operations hover around €300 million. Some €60 million will be reserved for return missions alone. Greece is expecting 2,300 European experts but none have yet arrived, according to a Greek government official. 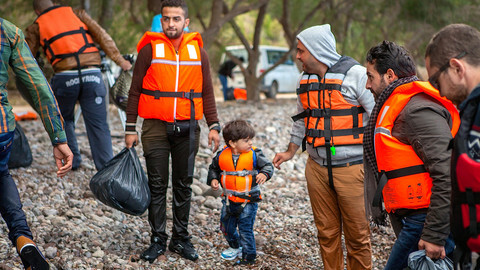 Giorgos Kyritsis, a spokesman for the Greek government's Refugee Crisis Coordination Centre, told the Associated Press, that the plan's "practical implementation remains to be seen". Greek authorities, meanwhile, started ferrying migrants from Lesbos and other islands to temporary refugee camps on the Greek mainland. Greece is also struggling with a sprawling makeshift refugee camp in Idomeni and hosts some 50,000 stranded migrants throughout the country following border closures along the Western Balkan route. The broader plan agreed last Friday requires EU states to start resettling one Syrian refugee from Turkey for every one Syrian returned from Greece, as of 4 April, until a 72,000 threshold is hit. 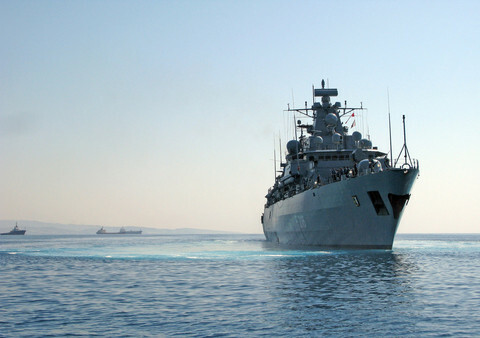 Issues on how to send back the unwilling to Turkey are likely to rouse tensions among people who have spent thousands to reach Greece in the first place. 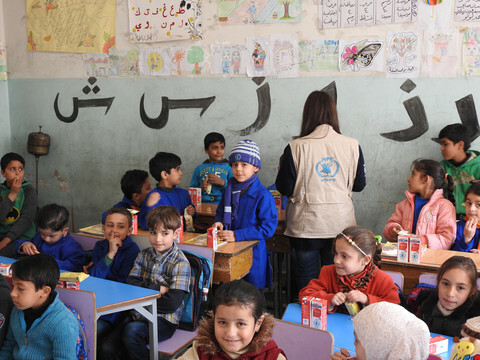 The forced return will be a double blow, especially for those who are likely to have also lost their homes and livelihoods in war-torn Syria. Once returned to Turkey, they will also be placed at the bottom of a resettlement list, further dimming any chance of reaching the EU. 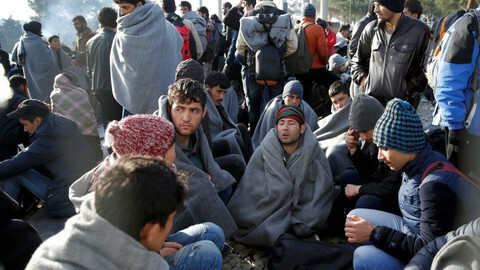 Turkey hosts an estimated 2.7 million Syrian refugees and has agreed to allow them to work. 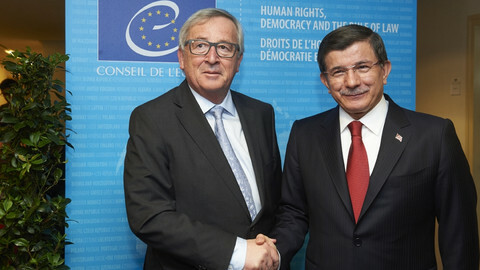 In exchange, Turkey may see some EU visa restrictions lifted in June. But politics around the deal, which was championed by Germany and the Netherlands, is never far behind. One of German chancellor Angela Merkel's most vocal critics says she has capitulated to domestic pressure to cease her open-door policy for refugees. "The federal government has completely changed its refugee policy, even if it does not admit that," Horst Seehofer, leader of the Christian Social Union (CSU), the Bavarian sister party to Merkel's Christian Democrats (CDU). In an interview with Bild am Sonntag, Seehofer says the "unconditional welcoming culture" among German politicians has ground to a near halt. Unlike Merkel, Seehofer wants to impose annual cap of some 200,000 asylum seekers. Germany received over 1 million asylum seekers last year. The EU-Turkey deal that came into force on Sunday has not deterred migrants crossing the Aegean sea on its first day. But it raises many questions as Greek and Turkish legal frameworks still need to be set up. Greece has started sending back migrants to Turkey under the EU deal. The German interior minister suggests similar agreements might be necessary in northern Africa.